Search Engine Land’s recent Local Consumer Review Survey looked at the way consumer behavior has changed since 2010. One of the key findings was that most people surveyed were just as likely to turn to the internet, as they were to ask for personal recommendations about local businesses. For small business owners, this is a good indication that now more than ever, it’s important to have a strong online (local) presence. Google put a lot of emphasis on where a business is located when reverting results, even when the location hasn’t been specified in the search box. If you are on a desktop machine, the platform detects your ip address and suggests relevant results within your area. It gets even more interesting when you’re on the go, as search engines will recommend you business and activities in your precise area with the help of geo-location technology. The possibilities for local businesses are uncountable. It’s child’s play to convince you that a strong local presence online is important, but what can you start doing right now to improve your odds of being found by your local customers? We have selected 3 simple and efficient strategies that will put you on the map and will guarantee you better ranking on search results. Google+ was launched not long ago, and it is today the biggest social media platform after Facebook. Google’s take-off plan was to make people (especially small businesses) understand that Google Search Engine loves the local content and customer reviews you get on your Google+ Local page. The plan has worked. If you do not have a Google+ Local Page yet, create one! If your small business doesn’t have a website yet, get one quickly! Now that Google has already reached the expected number of members on it’s social platform, it’s putting less importance on your Google+ Local page as a SEO tool, and more importance on your website (read here about Google’s “Pigeon Local Algorithm Update” But don’t panic yet. Having a Google+ Local page still gives you a much better ranking than having a Facebook or Twitter account. After you have created your website and optimized it as per Google Best Practices, create a Contact page and replicate your Google+ Local Page on it. Google+ Local is still a great place to have positive reviews and improve your local SEO, but Yelp is a second! 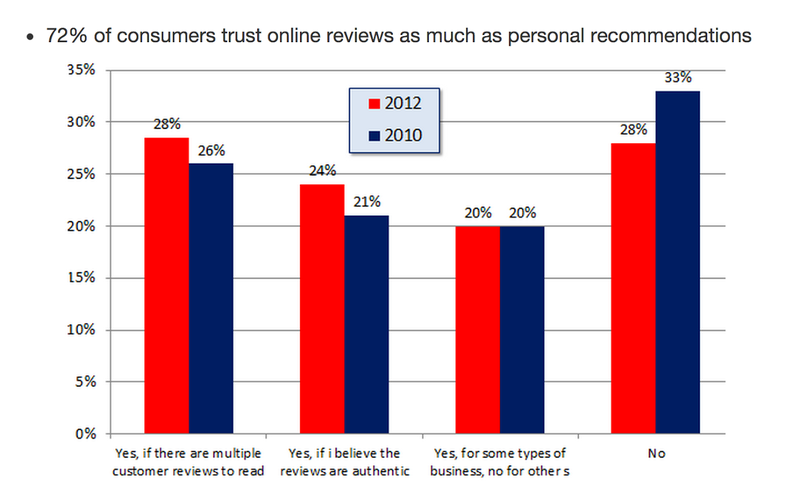 The “Local Consumer Review Survey” has outlined that 72% of consumers trust online reviews as much as personal recommendations. Yelp is one of the first places consumers look when they need a review of a local business or a suggestion for a new, unique restaurant. This is a resource that small businesses can’t afford to ignore. 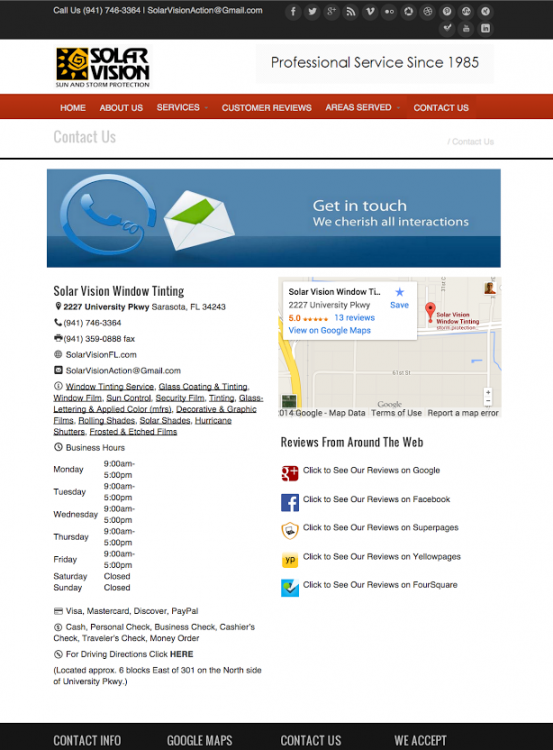 Lisa Barone at Small Business Trends did a terrific post on Yelp’s use and value for the SMB owner: Check the article “Yelp Data Shows The Power of Mobile Marketing”. And because not everything is about Google. Yelp is establishing close relations with Bing Search Engine And Apple Maps. Apple Maps and Yelp Integration ,to be released on iOS 6 devices, places Yelp as the hottest local search engine for Iphones and ipads. To conclude our quick social local and mobile advise of today, bear in mind that your digital presence needs to be taken care of frequently, and it shouldn’t be isolated from your physical marketing efforts. Customers reviews can be either good or bad, and if your company is not doing a good job, you will get negative reviews. So taking a good closer look at your company before you invest on your online presence might be beneficial for you. Was this article useful for you? Leave us your comment or complementary information.